The Washington Capitals will scrimmage their new-ish ECHL affiliate, the Reading Royals, today at Kettler Iceplex. The Royals are currently 2nd in the ECHL in wins and are a top tier squad. "The game will include three 20-minute periods and will have referees. There will be no penalties and no special teams. Admission is free." Before you head out to Ballston, check out one of our favorite Reading players that we saw playing this summer at Caps Rookie Development Camp. 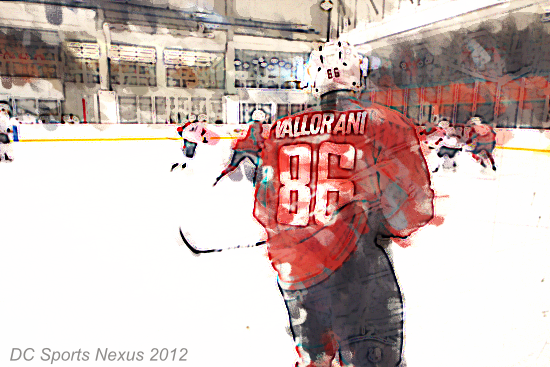 David Vallorani: At 5'8"Vallorani is not the biggest guy on the ice. But he plays hard, shows a lot of heart, and after a great D-Camp he earned a contract with the Hershey Bears. Vallorani was assigned to start his career with the Royals. Read how the former UMASS-Lowell forward impressed the crowd over the summer. He may be small, but Vallorani has been impressive all week, displaying his offensive talent with a number of shot attempts on goal and several great centering passes. 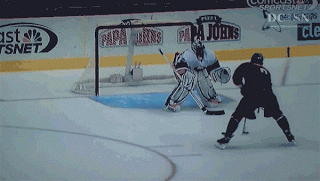 He knows how to get the puck to the net, a skill that most of the other players at development camp are lacking. The four year senior has scored 3 goals in 3 scrimmages and has made his case for being signed by the Capitals organization at some level. Vallorani has tallied 25 points in 35 games in the ECHL this season so far, which ranks 11th among all rookies. He is tied for 5th on the team in scoring. It will be interesting if he can repeat some of the magic from his surprising D-Camp performance against the big boys. 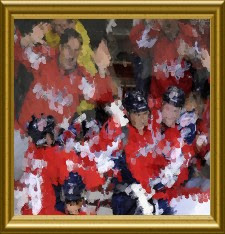 Stanislav Galiev was also at D-Camp and has had a disappointing season for the Hershey Bears. The Russian was sent down to the ECHL on Monday for the second time this season and has 0 goals and 1 assists in 17 games with the Bears. He also has 13 points in 12 games for the Royals this year. Not sure if he is in VA for the game or not, if he is, keep an eye on him. David Civitarese and goalie Sergei Kostenko were both at D-Camp as well. Civitarese was recently activated from Reserve and should play. The Reading goalies are not scheduled to play with Neuvirth and Holtby supposed to man the nets for both teams. Kostenko, Russian goaltender and 7th round pick in last year's NHL Draft, also had a very good rookie camp which included a nice little showdown with first round pick Filip Forsberg over the summer that was quite interesting. It's ashame we won't get to see him. You can read about it here.